Over at the blog Where’s My Backpack?, the weekly photography theme is white. The creator of that blog has tied that theme to the fact that today is International Day of Peace, a day sponsored by the United Nations. I, however, will take this theme and speak of walls. Almost a year ago, I took this space and wrote about the condition that afflicts walls here in Peru. 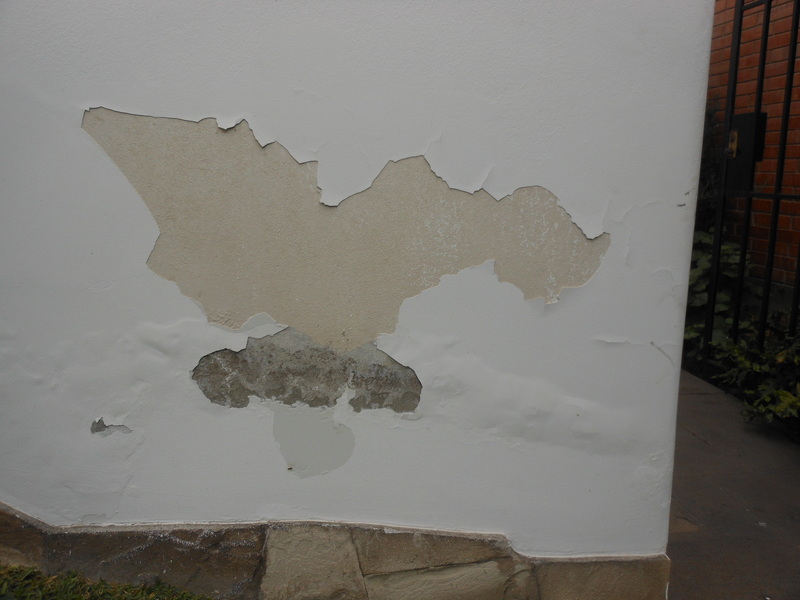 Salitre is the term given for the condition when the white paint splashed over the cement walls of homes peels away. This flaking away of the white paint is caused, my sources tell me, by the humidity of this area. The water vapor sneaks in behind the paint where it condenses back into a liquid and pushes the paint away from the wall. A better definition can be found here. Almost a year later, how is my battle with salitre going. In a word, badly. In a photo, see for yourself. I see an eagle…no, a dancer…no…. Maybe now is the time to finally call the repairman.